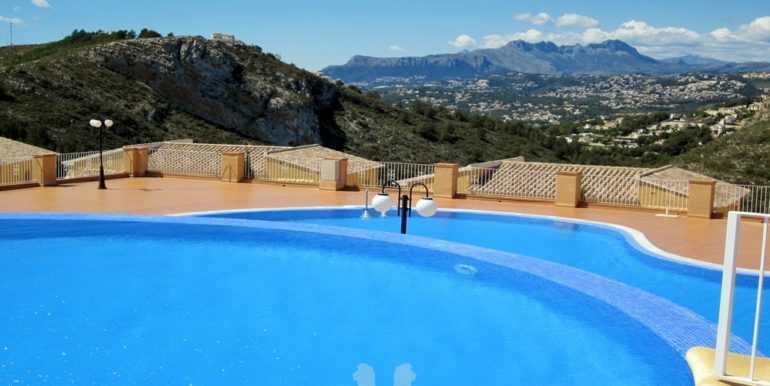 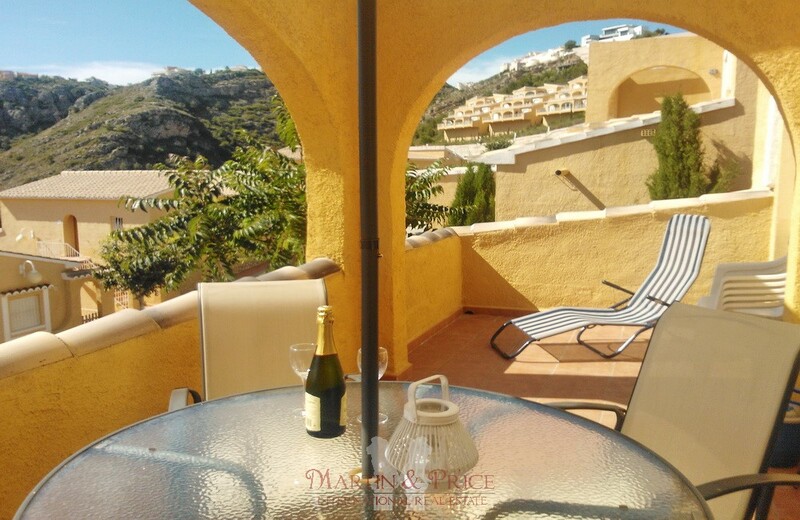 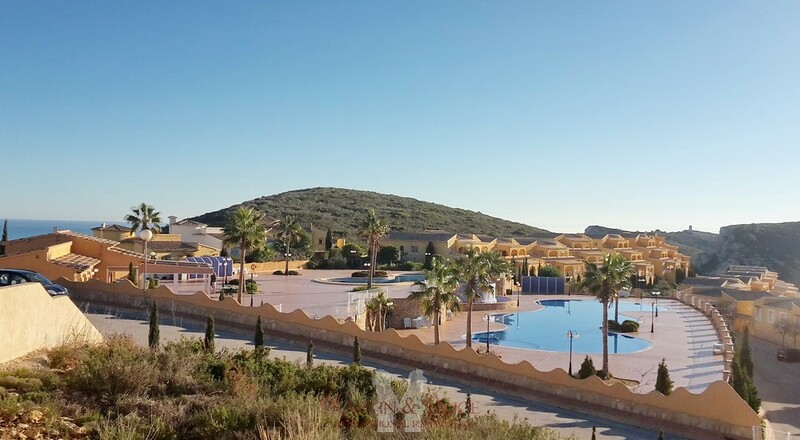 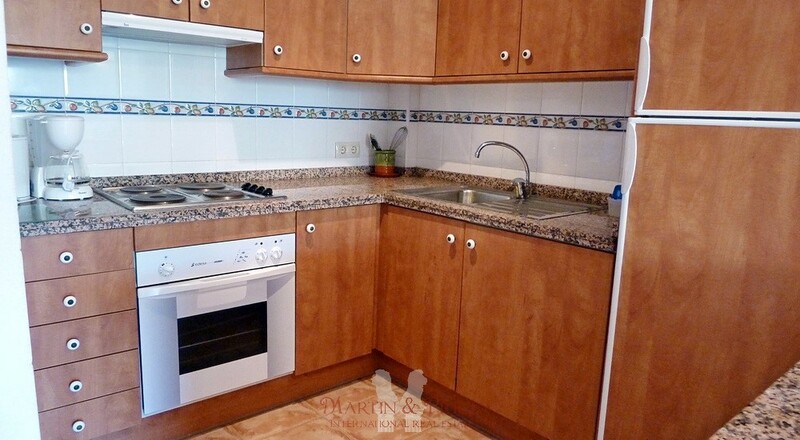 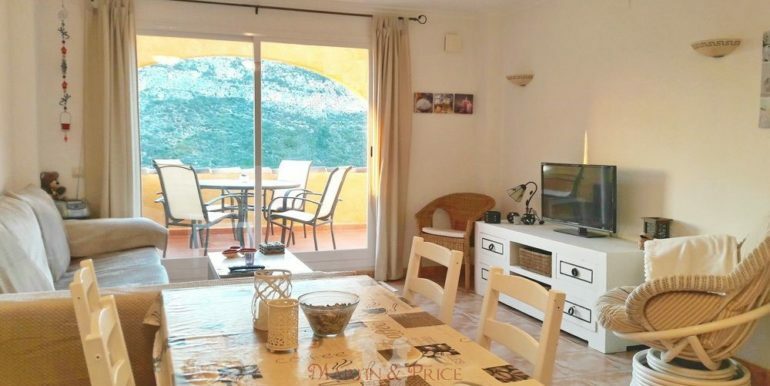 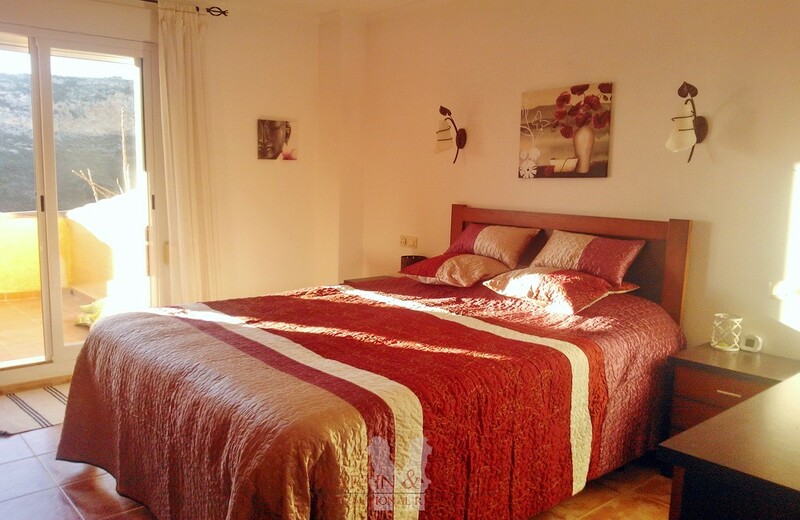 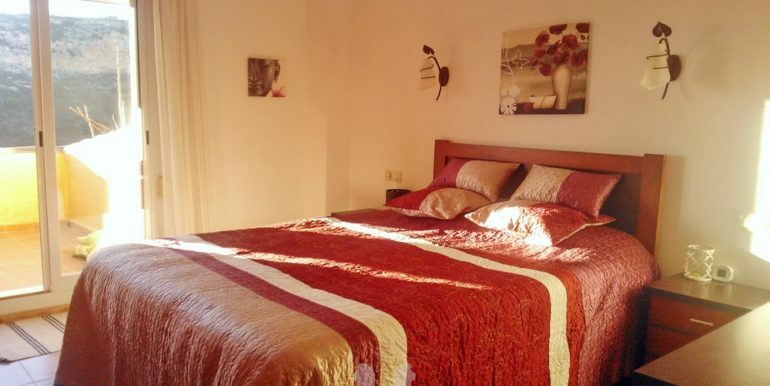 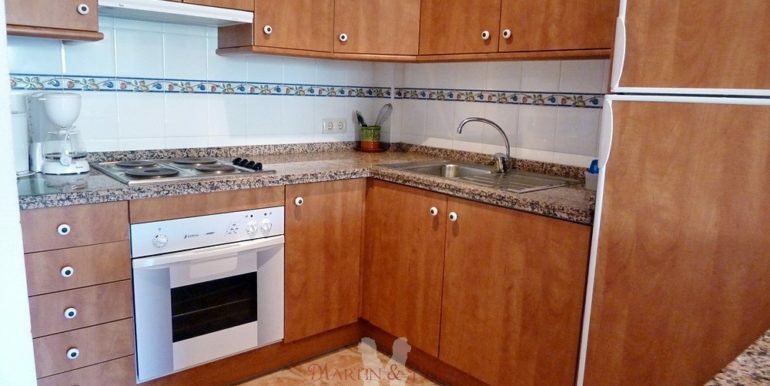 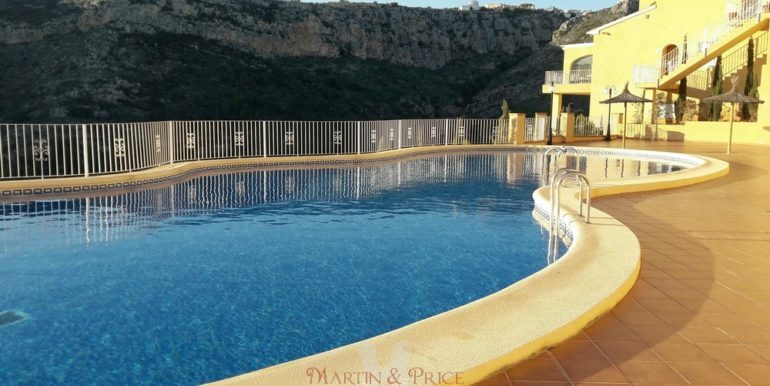 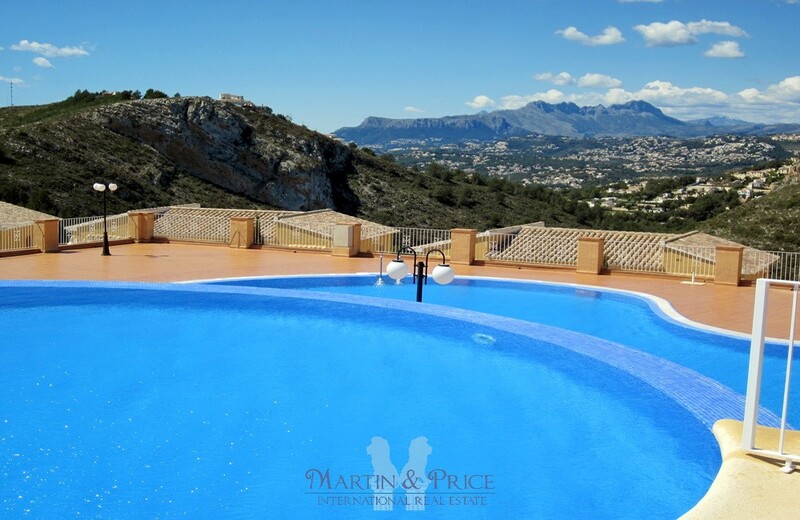 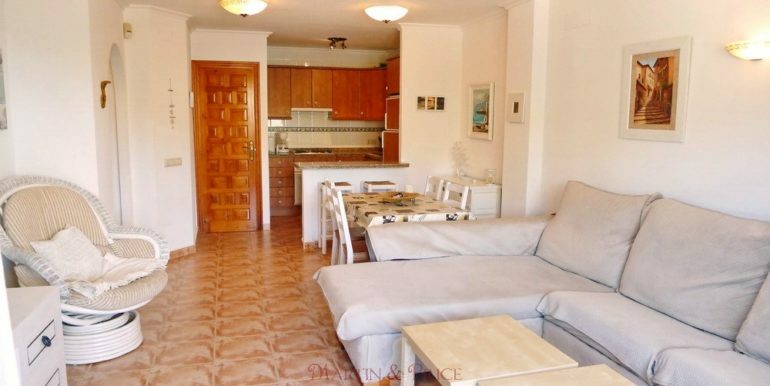 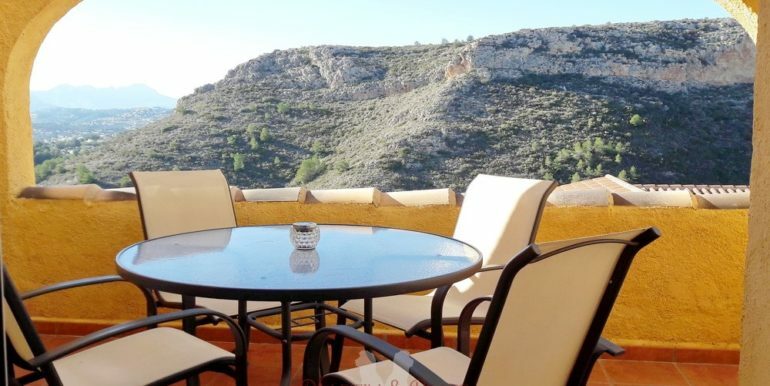 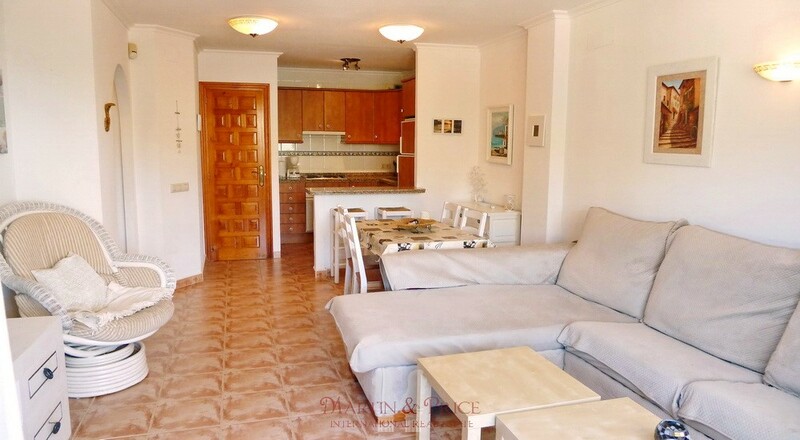 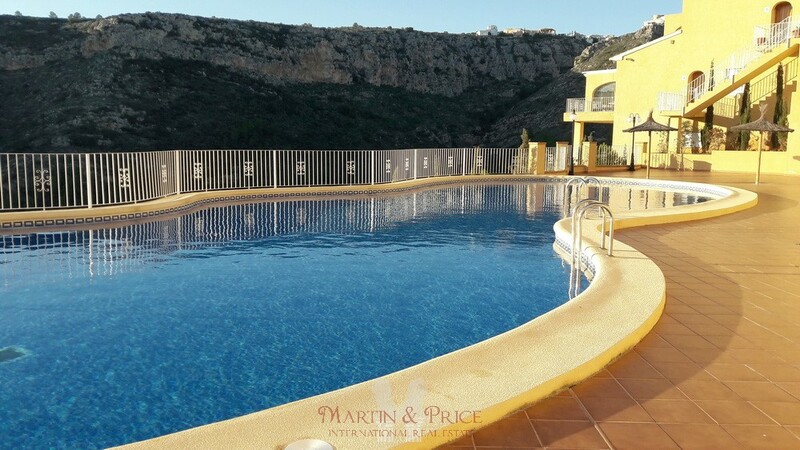 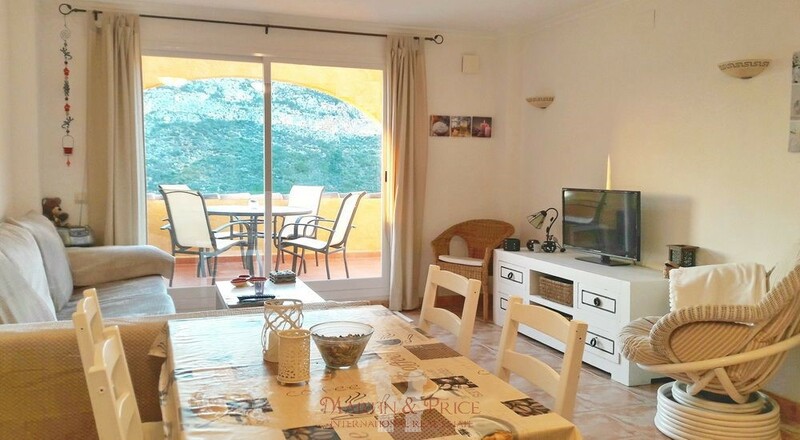 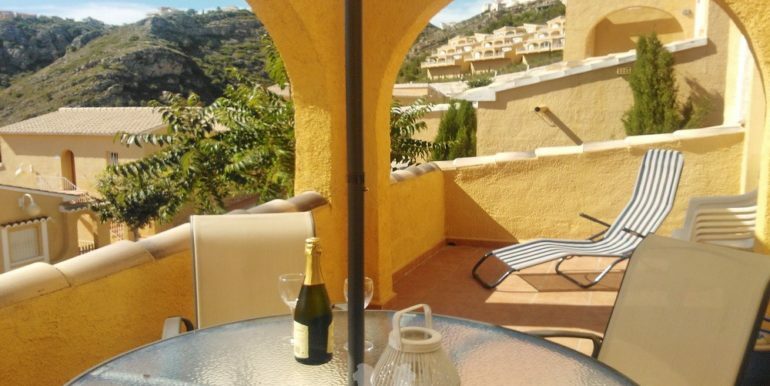 This beautiful two bedroom apartment is in La Cumbre del Sol, in the residential area of Montecala and has wonderful open views to the mountains. 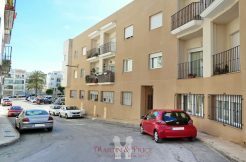 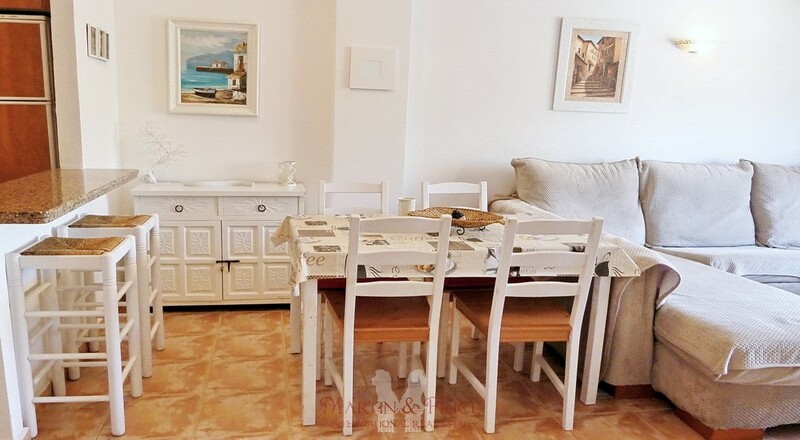 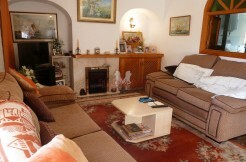 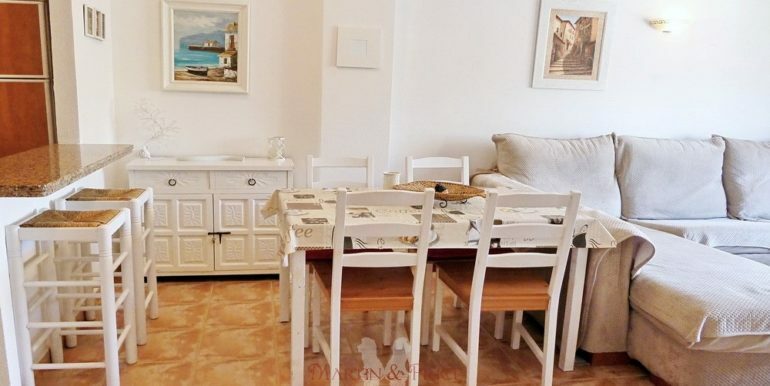 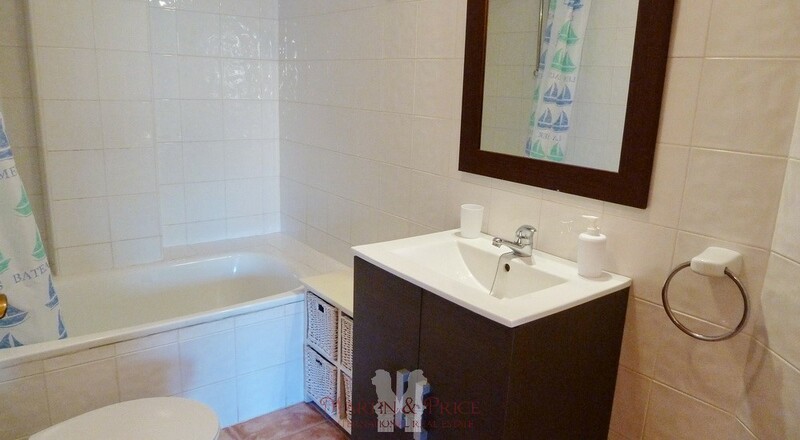 The apartment is in perfect condition, it has a nice spacious living room with access to a 15 m² terrace, equipped open kitchen, two bedrooms and a bathroom. 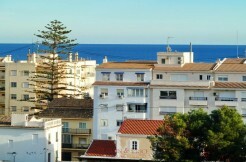 At street level there is a large parking area. 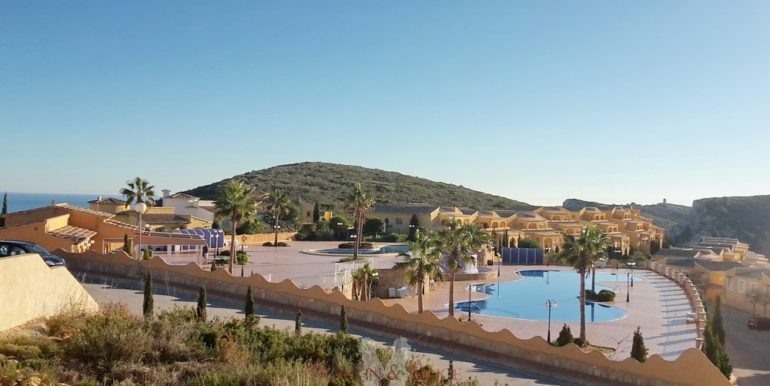 The resort has three swimming pools within a short walking distance of the apartment and has bar-restaurant, children’s playground and green areas. 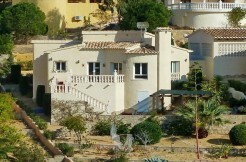 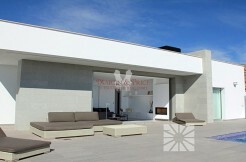 The complex has restaurant services, pharmacy, supermarket, etc. 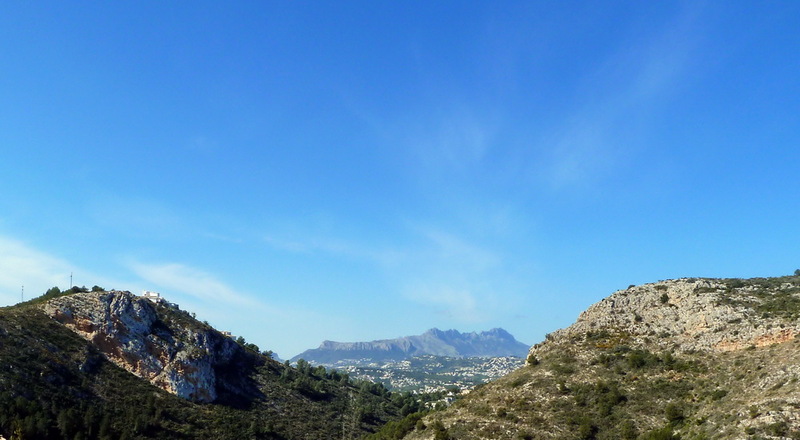 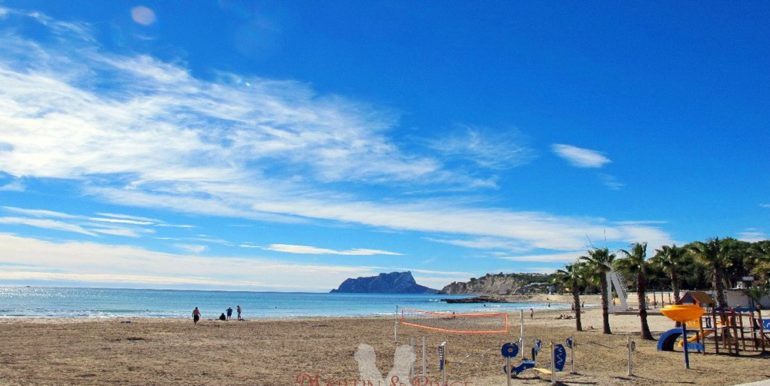 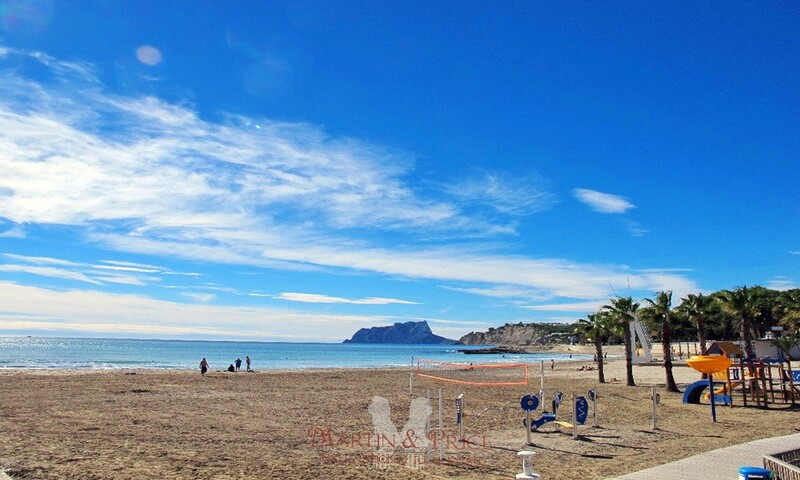 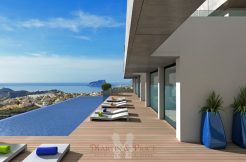 The Moraig beach is 5 minutes from the apartment in the very same urbanization, El Portet beach is 10 minutes and the coastal towns of Moraira or Jávea are just 15 minutes by car. 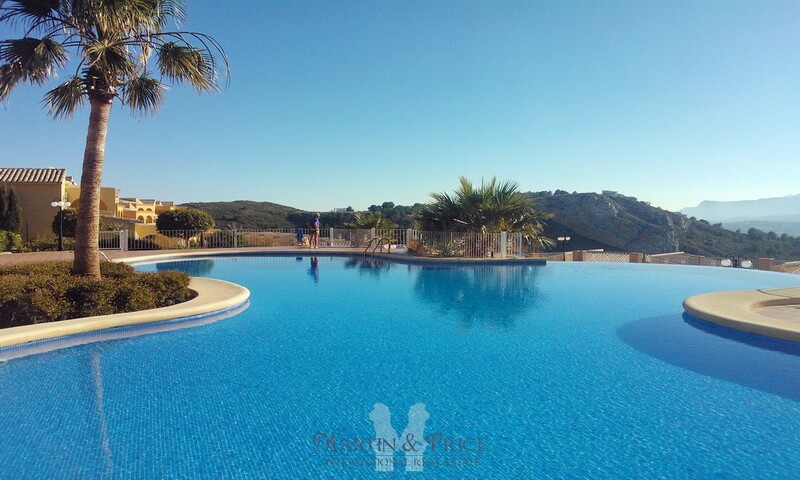 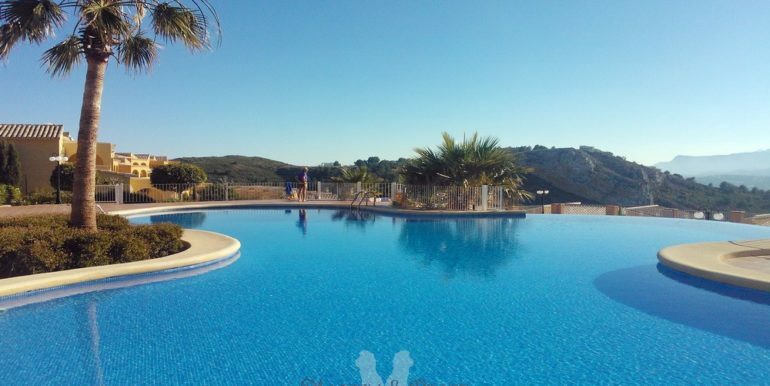 The property is located in a quiet area within a short distance to all services, perfect to enjoy the outdoors with hiking trails, horse riding, golf courses and beautiful areas for sailing, snorkling or diving.